Cape Point is your best chance to see wildlife while you’re in Cape Town. The perfect day trip, a Cape Point wildlife tour introduces you to the birds, mammals, insects and reptiles of the Cape mountains and coast. Top of the list are the big mammals. 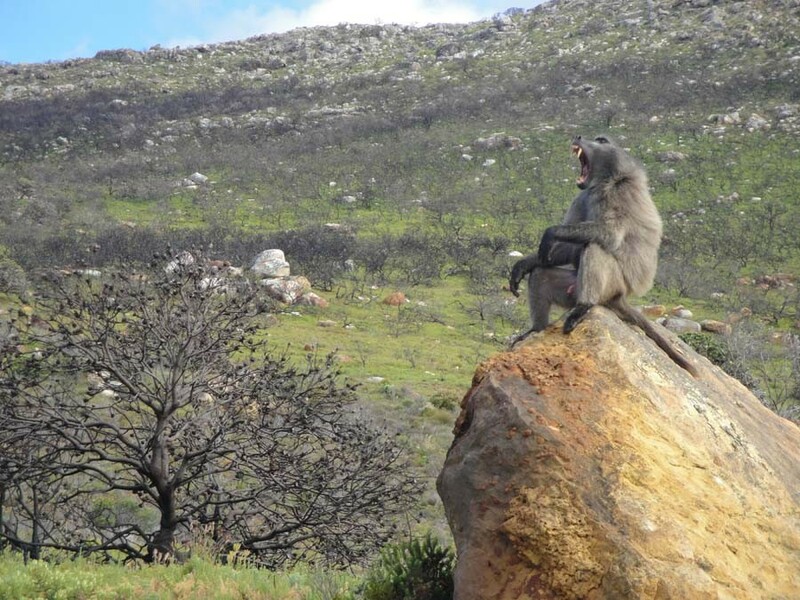 The baboons of the Cape of Good Hope Nature Reserve have a reputation for their behaviour at the Cape Point car park (occasionally grabbing food from unsuspecting visitors) but away from the coaches and crowds the baboon troops forage normally along the coast and are often seen on the beach itself. 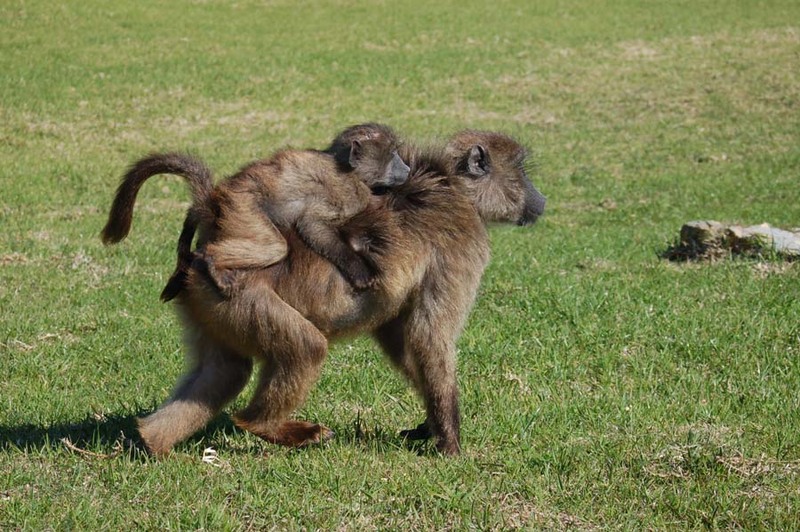 A young baboon hitches a ride on its mother’s back; babies are slung underneath. 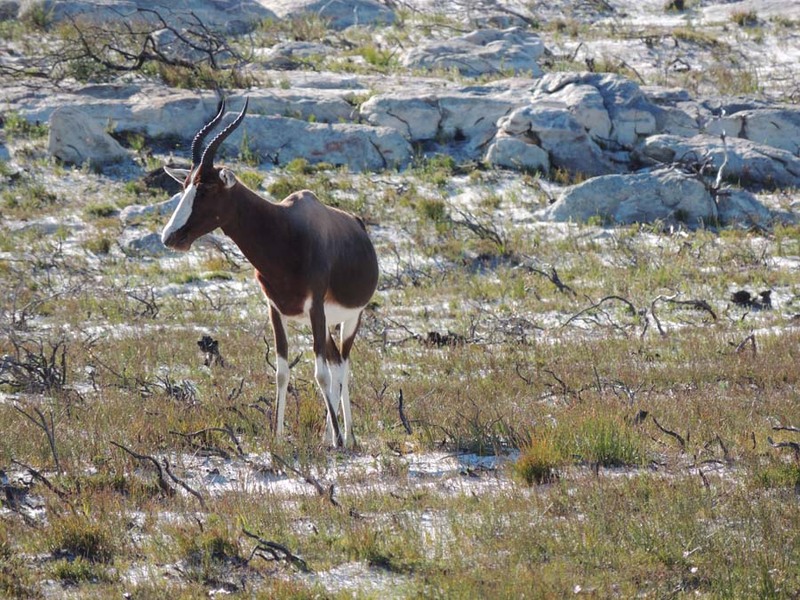 Larger mammals provide a surprise: bontebok antelope are common along the grassy coast but the mighty eland, weighing in at up to 900kg, also occurs in the reserve. Large numbers of eland – sometimes up to 60 individuals – can sometimes be seen in remote grazing pastures. A small herd of Cape mountain zebra can sometimes be seen from quiet roads. Bontebok antelope are beautifully marked & accustomed to our presence. Wary & watchful, the eland is Africa’s largest antelope & once the prized prey of Khoisan hunters. 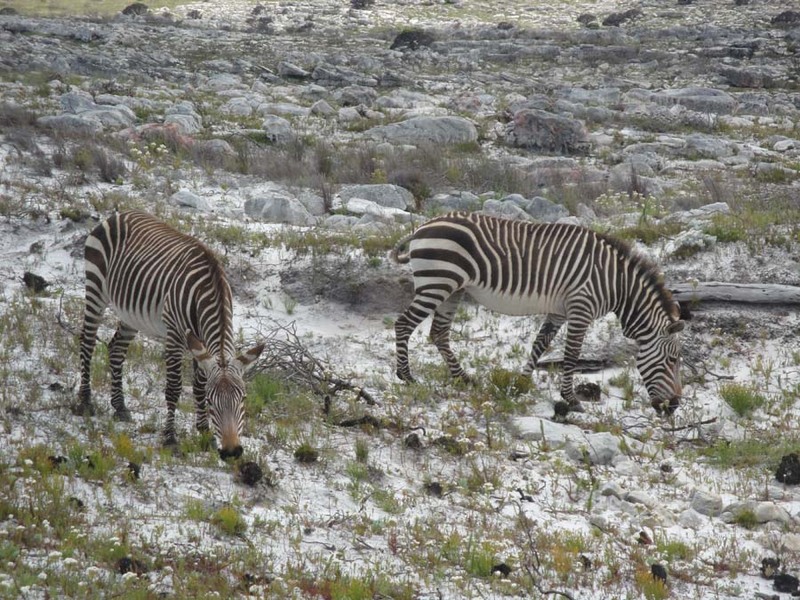 Cape mountain zebra graze on newly-emerged plants after a fire in the reserve. Smaller mammals such as mongooses and rodents occasionally dart across the path but their shared enemy, the snake, is rarely seen. Although cobras and puff adders occur in the reserve, it’s rare (and indeed most fortunate!) to see any kind of snake let alone a dangerous one. 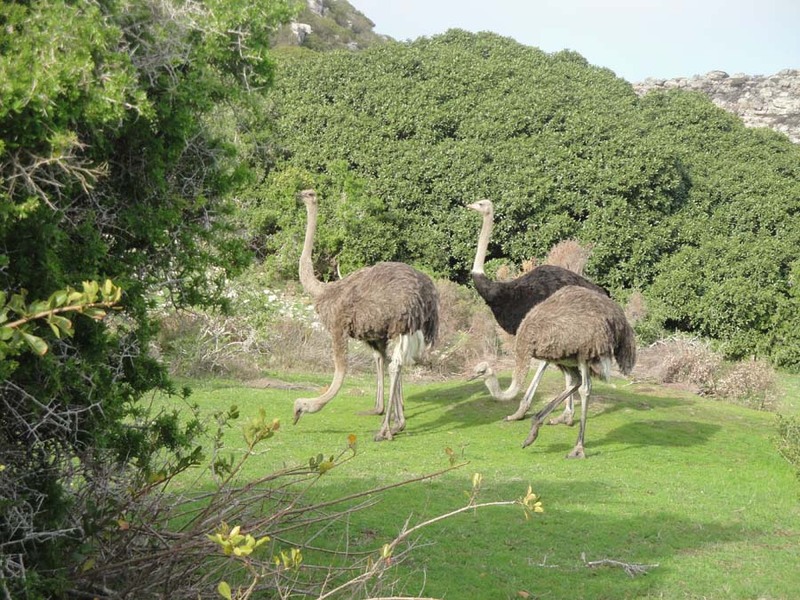 Ostriches are often seen close to the coast, feeding on grass seeds & small invertebrates. 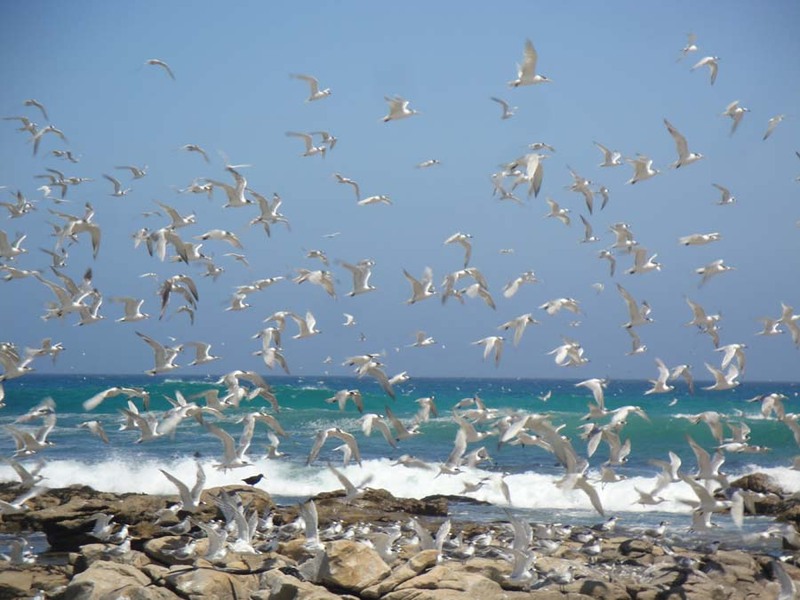 Sandwich terns gather in large flocks, dive-bombing Cape Point’s shallow seas for small fish. More common sightings are birds. And lots of them: away from the impoverished mountain fynbos environment, the Cape coast heaves with energy. Gulls and oystercatchers patrol the shoreline while shimmering flocks of terns fly past like the shoals of fish for which they dive. You’d expect to see wading birds and cormorants, and there are plenty of those, but ostriches make an incongruous sight. Associated with African savannahs, these Cape Point ostrich often forage of the beach, downy chicks in tow. Keen birders will also see several fynbos and thicket birds: sunbirds and bulbuls, sugarbirds and robin-chats. Raptors are represented by rock kestrels, peregrine falcons and buzzards. The peninsula’s resident Verreaux’s eagle are occasionally spotted drifting over the reserve, on the look-out for dassies (rock hyraxes) which make up 90% of their prey. 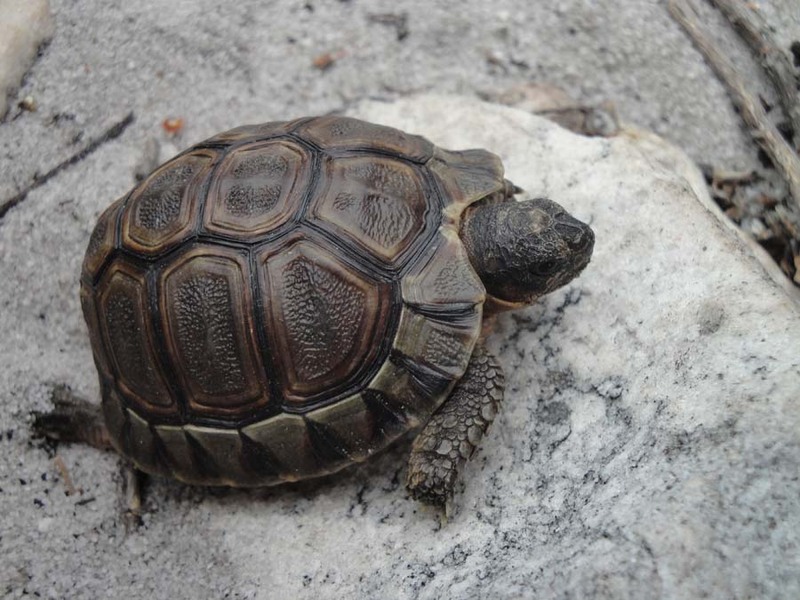 Tortoises are most often seen in spring at Cape Point, emerging to feed on flowers & fresh leaves. You’ll see interesting reptiles too. Tortoises are the most sought-after sightings (South Africa has the highest diversity of land tortoises in the world) and they relatively easy to see in spring. Flat-bodied agamas turn their heads bright blue in summer to attract a mate; shiny black girdled Lizards shimmy into crevices as you disturb their sunbathing. 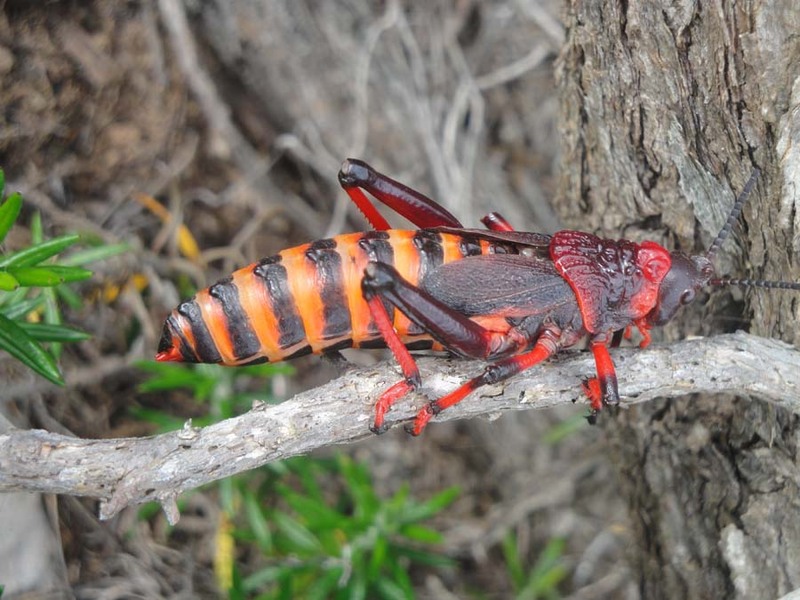 The Foam Grasshopper feeds on poisonous plants; its bold markings warn potential predators that it makes a toxic meal. 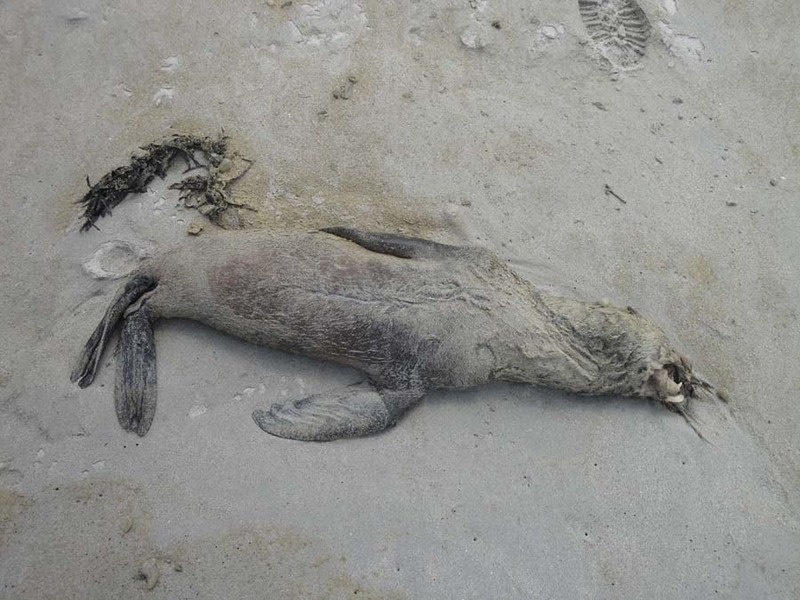 A Cape fur seal carcass washed up on a beach; yearling seals can sometimes be seen hunting in kelp beds. 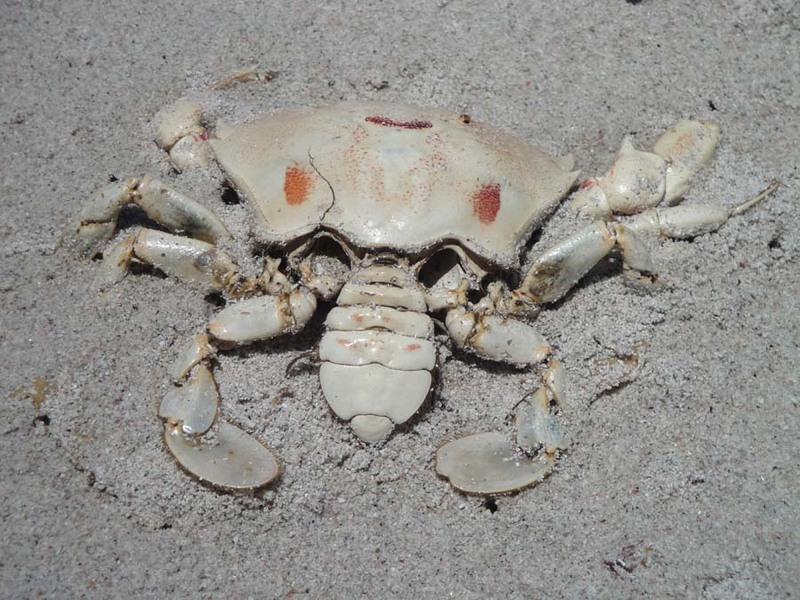 The remains of a three-spot swimming crab, a pincer-nipping predator of shelled animals like limpets & clams. And since it’s nature, anything can happen: visit in spring and you may see migrating southern right whales in False Bay. Odd and rare sightings are a regular occurrence – so to speak. It might be a golden mole or Cape clawless Otter. And who knows what drifts up onto these wild, barely-visited beaches? Recent sightings have been a female elephant seal and a metre-wide sun fish. This Cape golden mole was above ground on an overcast day – a rare sighting in the reserve. 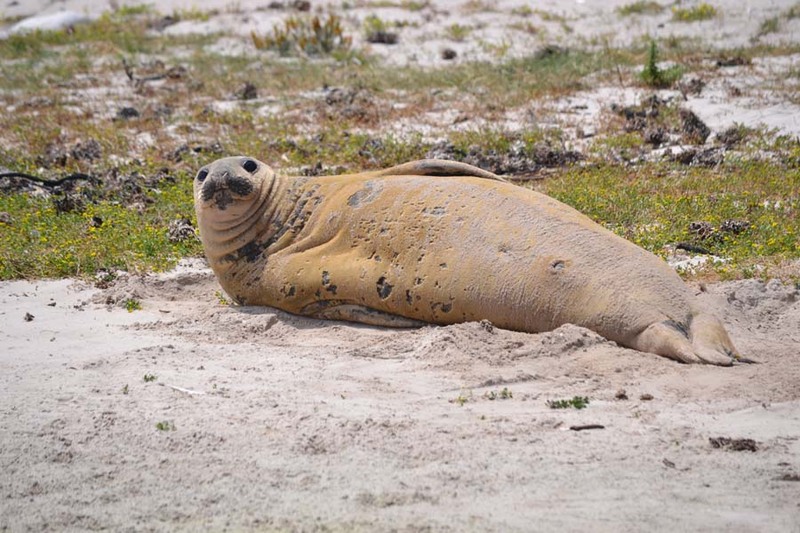 A female elephant seal: these giant animals live in sub-Antarctic regions but stragglers turn up on Cape beaches from time to time. 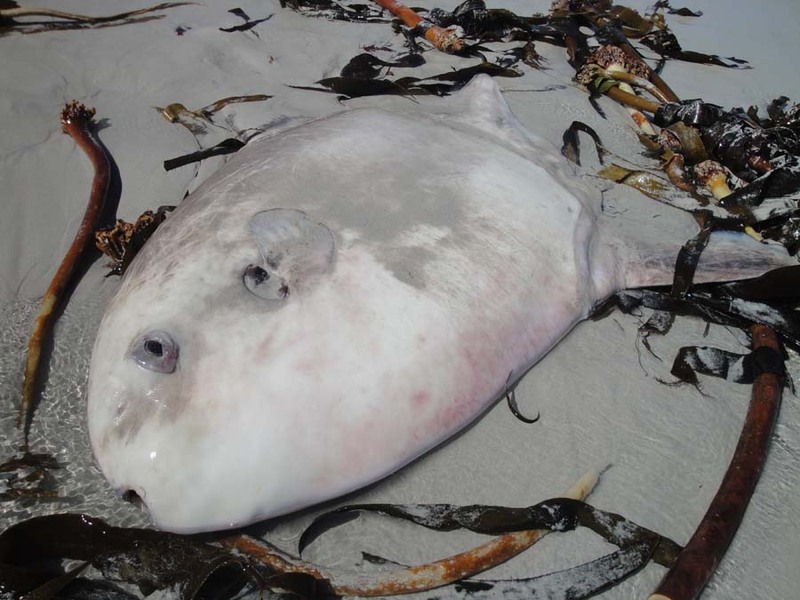 A mola mola, or sun fish, washed up on a Cape Point beach in summer. In prehistoric times, human strandlopers (beach walkers) would have feasted on this 100kg fish. Contact me if you are interested in a Cape Point wildlife tour: it’s a mix of short walks and driving to different places in the reserve. 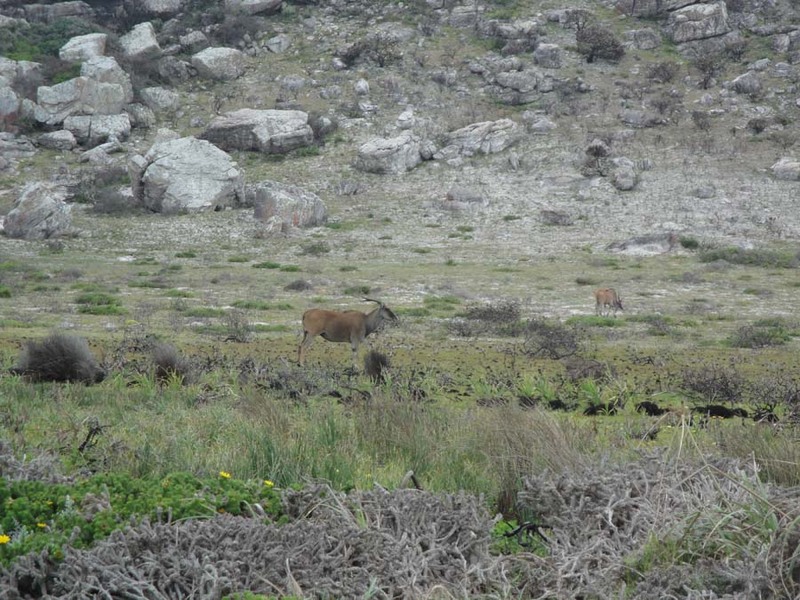 Weather and season greatly affects wildlife in the reserve, and although all the images have been taken in the Cape of Good Hope Nature Reserve, needless to say it wasn’t all in one day! I will design the best route around your specific interests – birds, marine life or general wildlife. Hi, I was at Cape Point today & on the rocks were millions of what looked like roaches. What are they & why are they there? Hi Hayley, what you saw was a type of air-breathing Arthropod called an Isopod – think of it as a beach-dwelling woodlouse – but the cousin to a cockroach but also a crab. The woodlouse comparison is good because their local name is a Sea Slater and a slater is a Scottish word for – you guessed it – woodlouse. What are they doing there in their millions? Try being a lump of rotting kelp and you’ll find out: they devour the stuff, along with carrion and live prey. They are a crucial part of the beach ecology; without them these beaches would be covered in layers of decomposing kelp. And I bet they form a huge part of the diet of many animals in the inter-tidal zone. Now you must try the tidal pools at low tide – https://magicseaweed.com/Cape-Town-Surf-Report/81/Tide/ – then a whole new world opens up. Try Black Rocks/Booi se Skerm on the False Bay coast in the reserve. I saw a small black snake while hiking at cape point, I am not sure what snake it was but it slithered away very fast. Hi Kim – that’s the problem with snakes: they tend to slither away fast. Far from being the big danger on my hikes, I rarely see snakes, maybe 5 or 6 a year. 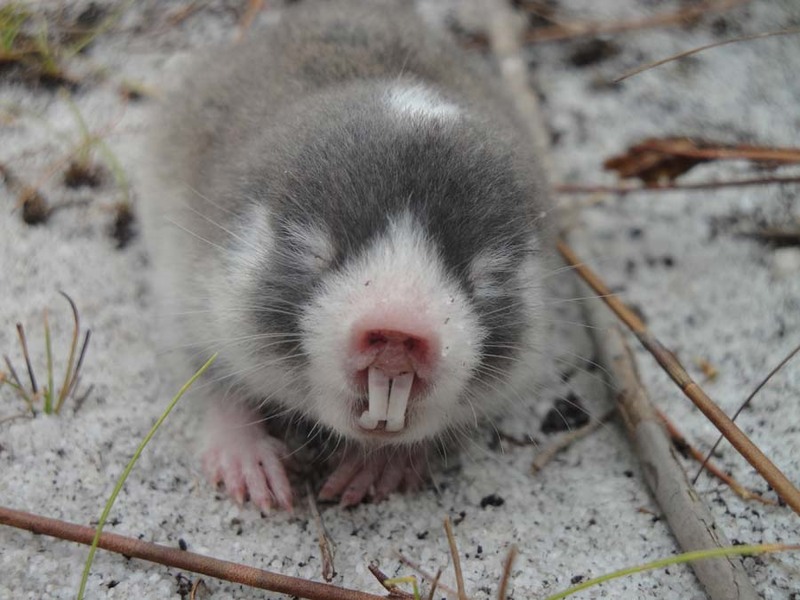 So what did you see … perhaps a young mole snake? They are certainly there and I have seen a big adult mole snake at Olifantsbos – they are dark brown/black – and the young ones have dark markings on them. Non-poisonous by the way – they are constrictors (like pythons) and as you may have guessed by the name, are partial to moles.